Published in the U.S. by Oak Tara Publishers LLC, 2007. When a minor incident summons renewed guilt and nightmares over the accidental drowning of her eight-month-old child twenty years before, Madeleine Seymour, an erstwhile history professor, finally turns to her pastor, Fr. Rinaldi. “I killed her, Father,” she tells him. “I left her alone in a wading pool. I killed her.” Read entire review. “A woman tries to exorcise her demons by exploring the ancient roots of her Christian faith in this heartfelt tale of remorse and redemption. Middle-aged history professor Madeleine Seymour… is haunted by the death of her young daughter Mollie, who drowned in a plastic pool. Tormented by nightmares… Madeleine seeks the counsel of Father Rinaldi, who sends Madeleine and her husband Jack on a trip to Italy to its Catholic shrines… With its iconography of blood and sacrifice, its stories of suffering and death transmuted into hope and rebirth, it reveals lessons for coping with her long-festering grief and guilt. Balancing spiritual exaltation with psychological realism, Sunderland’s limpid prose makes Madeleine’s journey both gripping and believable. Kirkus Discoveries, providing unbiased, professional reviews for independently published authors. Pilgrimage is a story about guilt, forgiveness and belief. Using a compelling fictional story as her vehicle, author Christine Sunderland contemplates deep matters of faith, such as truth, doubt, suffering, miracles, and martyrdom. 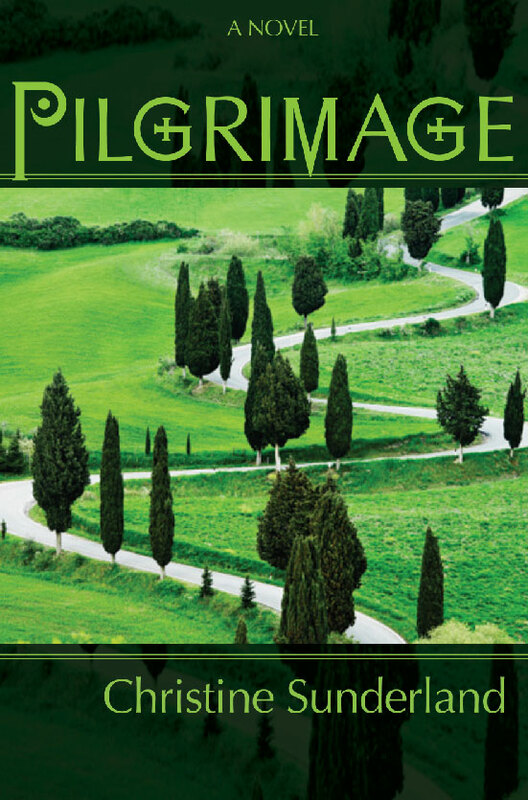 Read Feathered Quill Review of Pilgrimage.